you first contacted us for our web-based Scheduling software, now we bring you Marketing tools to generate more money. Your Customers Find You On Google? Click to see "2008 Top 100 Wood Website Winner"
You will receive a public website or we can redesign your current one. You can choose from a selection of web site templates which can then be personalized for your company. The combination of public website and private management is extremely powerful. The best looking Website is "ABSOLUTELY USELESS" if no one can ever find it. Once you have a professional website then it needs to be optimized for the Google and Yahoo search engines. Now when the customer comes to your site make it easy for them to call you, find your location and register their interest to buy your product or services. 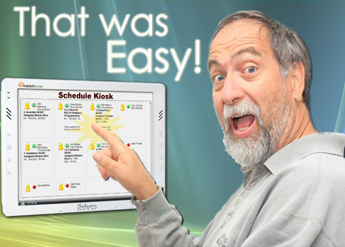 CMO software provides job task scheduling, a live time job specification sheet, shop kiosk and material management to name just several of the available features/modules. This limited time offer includes a trial of these powerful management tools designed to increase efficiencies and company profitability. Three direct, one-on-one meetings to review your marketing plan, your web site layout and your overall business objectives. Many shop owners know exactly what they want in a functioning website and we are here to assist and guide you in an most effective business tool website achieve your needs. Plan ahead and plan wisely. It's Time to INCREASE YOUR BUSINESS - Let Us Help You Market!